dreamgreen Iowans making a greener tomorrow... today. Thursday, September 1st at 7pm [rebroadcast Mon, Sept 5 at 7am on solar-powered KRUU-FM], the Dream Green series interviews microbiologist Elaine Ingham, founder of Soil Foodweb Inc. Recognized around the world as a leader in soil microbiology, Ingham is a key author of the USDA's Soil Biology Primer. In 2011, Ingham was named as The Rodale Institute's chief scientist. She also teaches courses at Maharishi University of Management. 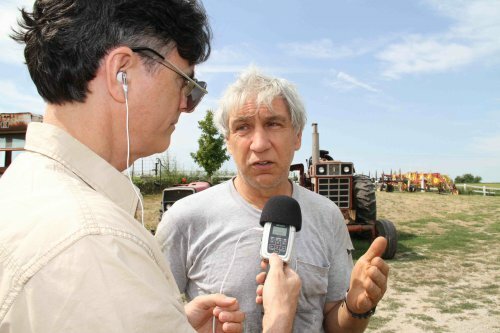 Also featured is Francis Thicke, owner of Radiance Dairy Farm, an 80-cow, grass-fed organic dairy farm located in Fairfield with a number of sustainable components. 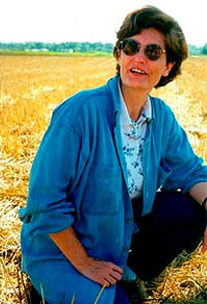 After earning a PhD in soil biology, Thicke worked at the USDA in Washington, D.C., serving as the National Program Leader for Soil Science for the USDA-Extension Service. He and wife Susan returned to full-time farming in 1992. Thicke ran unsuccessfully for the position of Secretary of Agriculture for Iowa in 2010 as a member of the Democratic Party. Follow the journey of discovery across the state of Iowa at greeniowa.org.